January 18, 2019, 6:00 p.m.
On the eve of the holiday honoring Dr. Martin Luther King, Americans, black and white, are seeing improvement in race relations in the last year. But in the latest Economist/YouGov Poll few see a positive impact of the Trump Administration when it comes to race. What has changed in the last year is the lessening of the controversy over National Football League players “taking a knee” at the playing of the National Anthem before games. Just over a year ago, in October 2017, Americans rejected President Trump’s position that any athlete who knelt should be fired. Last January, in another Economist/YouGov Poll, two-thirds of the public described race relations in the US as generally bad. This year, that percentage has dropped eight points, while the share believing race relations are good has risen by the same amount. 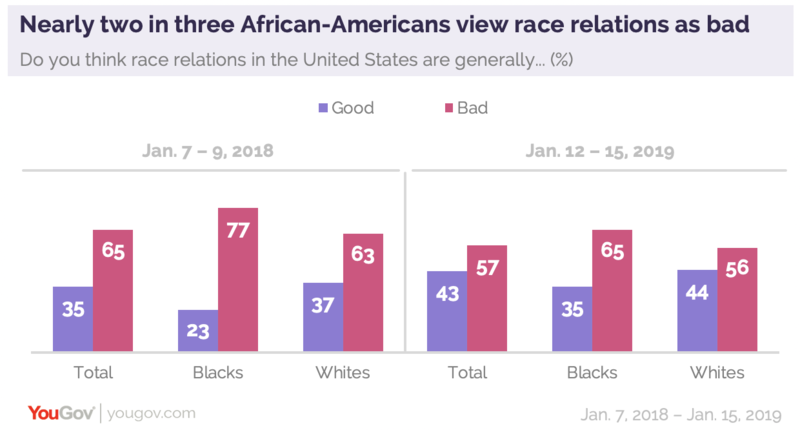 Just as a year ago, African-Americans are more negative than whites about the state of race relations in the US But their views, while still negative, have improved even more than white opinion. Republicans are among the most positive groups. Last year, 45% of Republicans thought race relations were generally good; this year, a majority of 57% believe that. This may be an improvement, but most Americans still consider racism to be a problem in this country, and a majority of blacks say it is a “big” problem. 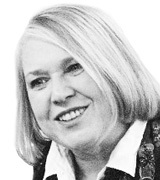 Many see improvement since the time of the civil rights protests in the 1960s. However, any improvement is more often noted by whites than by blacks. 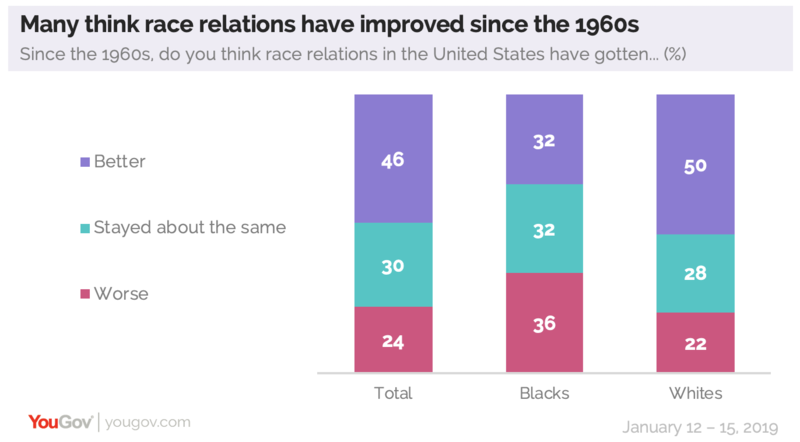 About a third of African-Americans say race relations have gotten worse since the 1960’s, about the same percentage who think they have gotten better. Dr. King’s legacy, so linked to actions taken in the 1960s, is seen as instrumental for whatever progress has occurred since then. 72% say the protest marches he led sped up civil rights legislation. While only 39% believe “quite a bit” of his dream of racial equality – outlined in his “I Have a Dream” speech – has been achieved today, 71% continue to believe what he said in 1963 has meaning for their contemporaries today. That is slightly more than the 68% who thought so a year ago. 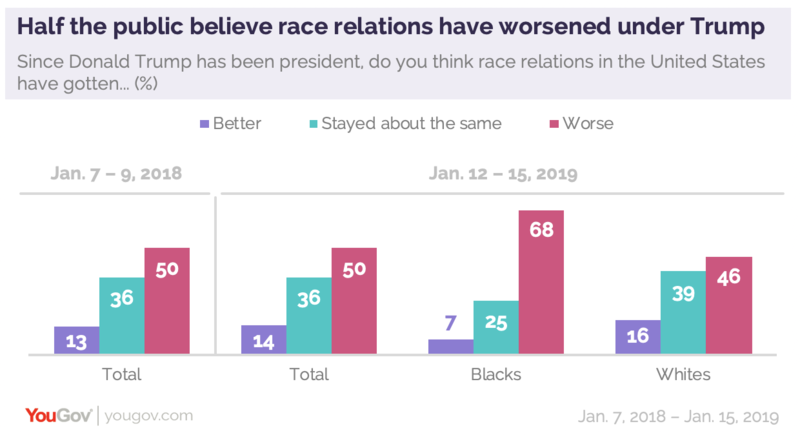 President Trump, whose approval ratings have languished among African-Americans (in this poll, 12% approve, while 77% do not, and 82% believe the President cares not much or not at all about them), isn’t perceived as a presiding force in the improvement of race relations. Half the public – and two-thirds of African-Americans – believe that during his presidency things have gotten worse. There is little change from a year ago on this question.